Cable news has away of cluttering up screens (sometimes to the extreme), but CNN found a way to use a multipart screen layout to pay tribute to the victims of the Orlando nightclub shooting. 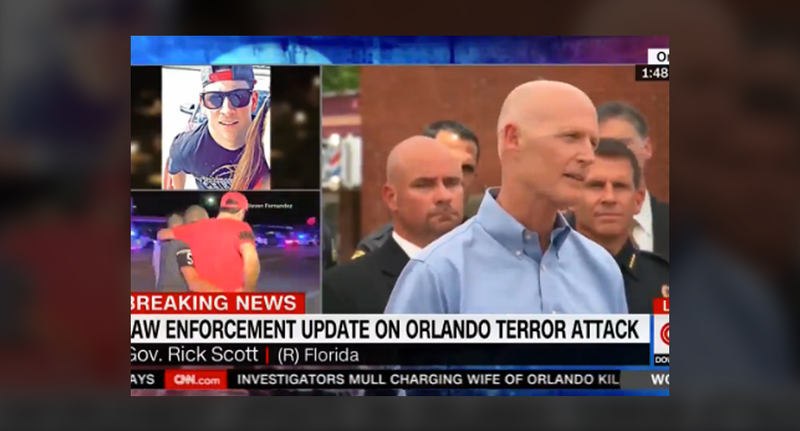 During its coverage of a press conference updating the media on the investigation and victims, CNN used a three-box layout, with the live feed of the press conference in the largest area taking up the right two thirds or so of the screen. To the left of this were two smaller stacked boxes. The bottom showed file footage from the early morning shooting — while the top one showed a loop of the victims’ photos.